Where to make: in Hu'nan province. Junshanyinzhen �C this tea is made in the Junshan mountains, near Dongting Lake in Hunan province. 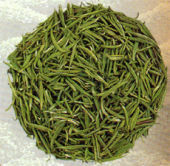 It consists of only singular tender buds hand picked shortly before Qingmingjie holiday. Leaves aren’t rolled so their shape resembles needles covered with silver hairs. Hence the name �C yin zhen �C silver needles. Buds are yellowish in colour and give a clear yellow concoction with refreshing sweet flavour. During steeping, they move vertically, falling and coming up to the surface. Junshanyinzhen is regarded one of ten most popular and exclusive Chinese teas. The annual production is not larger than 20-30 kg so it is quite uncommon in the world and for that reason extremely expensive. 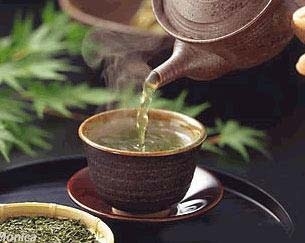 I want to import and purchase tea from CTN ! I want to offer tea for CTN ! Welcome the tea man of over the world to cooperate with CTN. trade ,co-operate ,in&export ,exchange on the tea stock in Beijing China! good luck to you! of course we set the hot line for every tea man 24hour on net !